Here is a few tips to allow you to identify genuine screens and compatible ones. These are only advices, our tester will sort them out depending upon their technical criterias. For iphone 6 screens buyback, the main element to identify genuine screens is the Apple logo (apple) found on the wire tapes. The genuine screens tapes are more flexible and more solid than tapes of screens duplicate. However some very good duplicates have tapes very similar to those of genuine screens. Some duplicates are made with genuine recycled tapes. 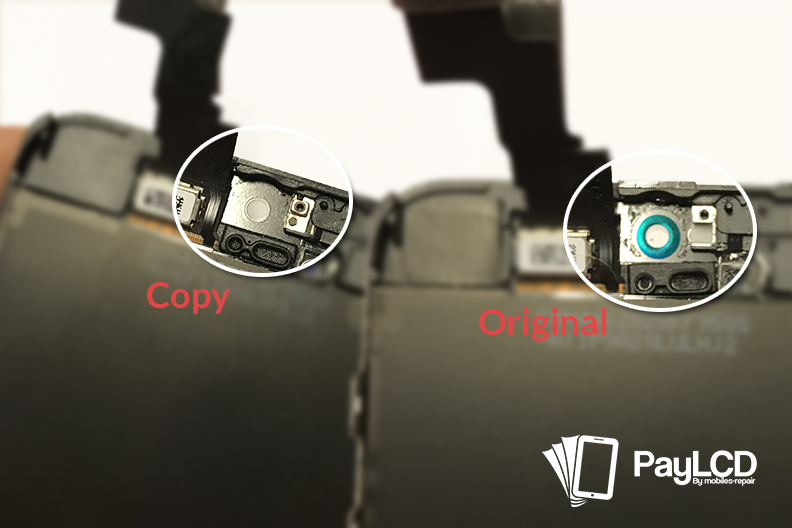 It is far more difficult to differentiate duplicates of iPhone 5 5s 5c. When use to it, it is easy to check but it requires experience. Around the Facetime front camera lid, you will find a light sensitive bluish circle. That lid does not exist (or not light sensitive) on the screen ducplicates. 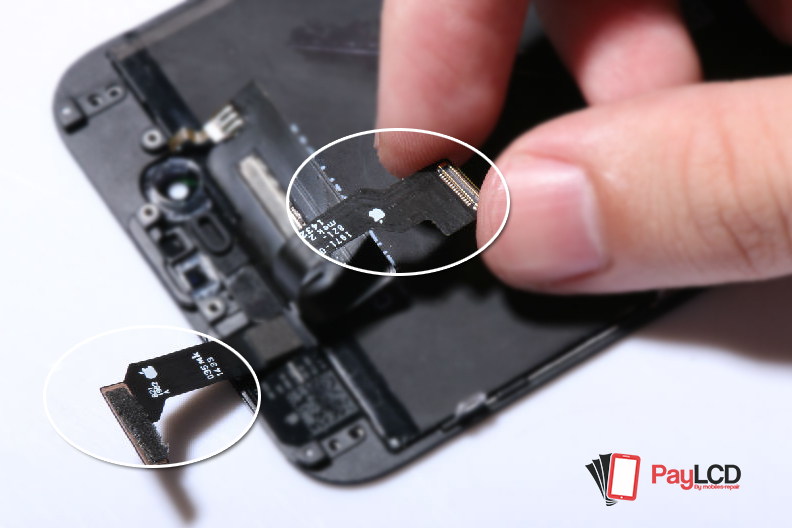 On the top left of the chassis, you will find a black sticky insulator on the genuine screens. Be careful, some duplicates have an insulator as well. 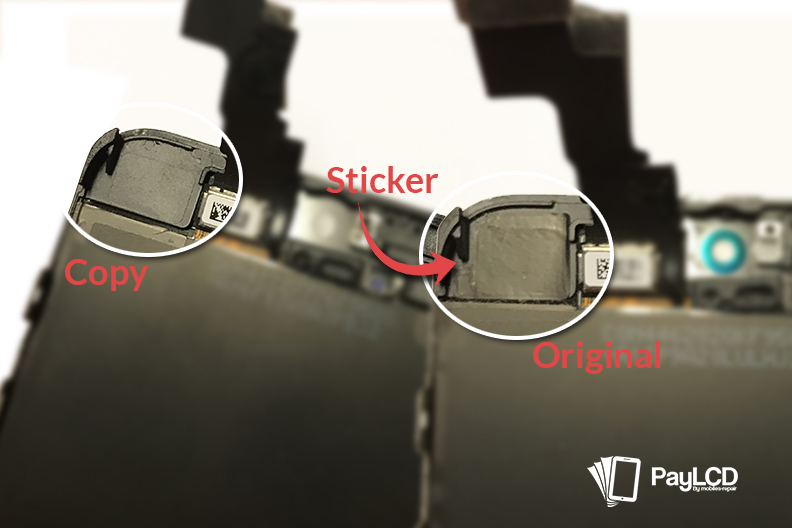 If you locate Chinese stamp or guarantee stickers, it is likely to be a chinese screen ducplicate and not a genuine one from Apple.